The property designed to enhance the comfort of our guests, where you will find “a home away from home”. 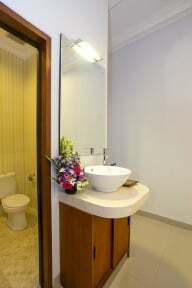 The facilities are similar to the 3-star hotel, consists of 7 Superior rooms and 2-Deluxe rooms. 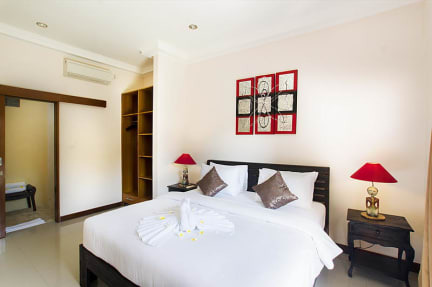 Seminyak-M-and-D Guesthouse gives you caring service with comfortable and a readiness to serve that gives you the easy feeling of being home in Bali. The guesthouse can be rented as privately entire house or room only..